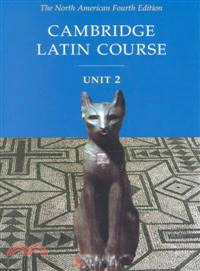 The Fourth Edition Cambridge Latin Course is an introductory program organized into four well-integrated units. Cambridge's proven approach includes a stimulating continuous story line, interwoven grammatical development and cultural information, supportive illustrations and photographs, and a complete Language Information section. Reading is the heart of the Cambridge Latin Course, and all the elements of the program - illustrations, vocabulary, grammar and syntax, cultural contexts and references, activities - are carefully introduced and arranged to provide students with the skills they need to read with comprehension and enjoyment from the very first page. Student Book The most effective tool for students and teachers of Latin! A continuous and motivating story line captures and holds students' imagination. . . The logical pattern of each Stage and careful integration among Stages and Units train students to read Latin with ease and to understand the culture of the Romans. . . Clear language explanations and examples and ample practice insure student mastery of Latin. . . And rich illustrations bring the works and experiences of the Romans to life.